The Town Board conducts its meetings in the town hall which is located in the section to the right in the picture. This area is also used for voting for residents and has an area for records storage, a small kitchen area and restroom facilities. 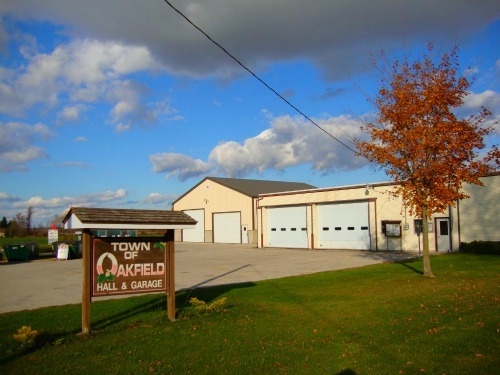 Adjacent to the hall area is the town garage used to house a town truck with snow plow, an Oshkosh snow plow, a pickup truck, and a loader tractor with mower. An adjacent building is used to store salt and sand and is also used for recycling. The site also has dumpsters for garbage, cardboard and paper, and other recyclables of plastic, aluminum and steel cans.